The phone call I never expected to receive came in last week. My youngest daughter was on the line. “Mom, I went to the doctor and she found a lump in my breast.” As she spoke the words, I felt my heart seize in my chest. Every ounce of my being wanted to scream out in agony, “Not my baby girl, cancer…not my baby girl!” Since receiving my breast cancer diagnosis, I’d never given much thought to the possibility that one day a child of mine might contract the disease and yet, three years post diagnosis, and here we were. I continued to listen as my daughter explained the plan. The primary care physician was sending her to a breast specialist. The specialist would perform a diagnostic mammogram and if she felt it necessary, she’d also perform an ultrasound. That plan sounded all too familiar. I’d already been there and done that. My sweet little girl couldn’t fathom the tsunami of emotions welling up inside me. I didn’t want to frighten her, but I wanted her to know what to expect. Very gently, I explained the process to her. At 29, she shouldn’t be dealing with this right now. Maybe at 35 or 40, as the oncologist suggested for my girls as I completed treatment, but not now! She sounded so worldly and well informed. “Mom,” she said, “I already know. It’s going to be okay.” How could she sound so calm and free of fear? When I’d been told the same thing, I went into major freak out mode. It never occurred to me that she was trying to hold it together for my sake. A few days later, one of my other daughters and I traveled to the Atlanta area to meet my youngest child for her appointment. Sitting outside the breast specialist’s office, I experienced an overwhelming bout of Deja’ Vu. Instead of seeing my daughter walking into that office, I was the one timidly pressing the elevator button. I was the one passing through the large glass doors. I was the one standing frozen in front of the registration desk. I tried to shake off the feeling and push the memories aside. This was not my experience, this was hers. I watched with careful eyes as my little girl, now grown, walked with confidant steps. She strode quickly as we followed behind. My other daughter, Laura, and I whispered. We hoped Jamie was all right. As we entered the office of the breast specialist, my eyes caught the large BCS logo printed on the wall. Three years ago, I wouldn’t have had any idea what those initials stood for but knew too well now. After registration, we all sat in chairs along the wall. Thankfully, we were the only women in the office at that time. Laura and I made small talk to help put Jamie at ease. Gradually, the room filled with other women. I scanned the waiting area. Women of all ages were present but the median age seemed to be around 45. Most of the women were waiting for their annual mammograms. I didn’t see a single woman my daughter’s age. I’d explained the procedure for the mammogram to my daughter earlier the previous week. I didn’t want her going in for the test unprepared. When I had my first mammogram, I was clueless. No one had taken time to give me a heads up and I hadn’t thought to look on the internet for information. I’ll never forget the feeling of complete humiliation as the technician took my breast and placed it on the cold, plastic plate. Feeling my body part being squeezed tightly between two plastic plates had been extremely painful, but even more than that, it was embarrassing. I explained each step of the mammogram in great detail to Jamie. Maybe I gave too much information, but I wanted her to be well informed and prepared. When they called my daughter’s name, we went back with her. There was no way I was going to let my child go through this alone. We were taken to another waiting area and a volunteer took Jamie back to the dressing room. A few minutes later, she came out in a gown. I could tell, by the look on her face, the reality had just hit her. We sat and waited with the other women. All of them sitting in navy blue robes like perfect little marionettes, waiting for the puppet master to pull their strings and make them perform. 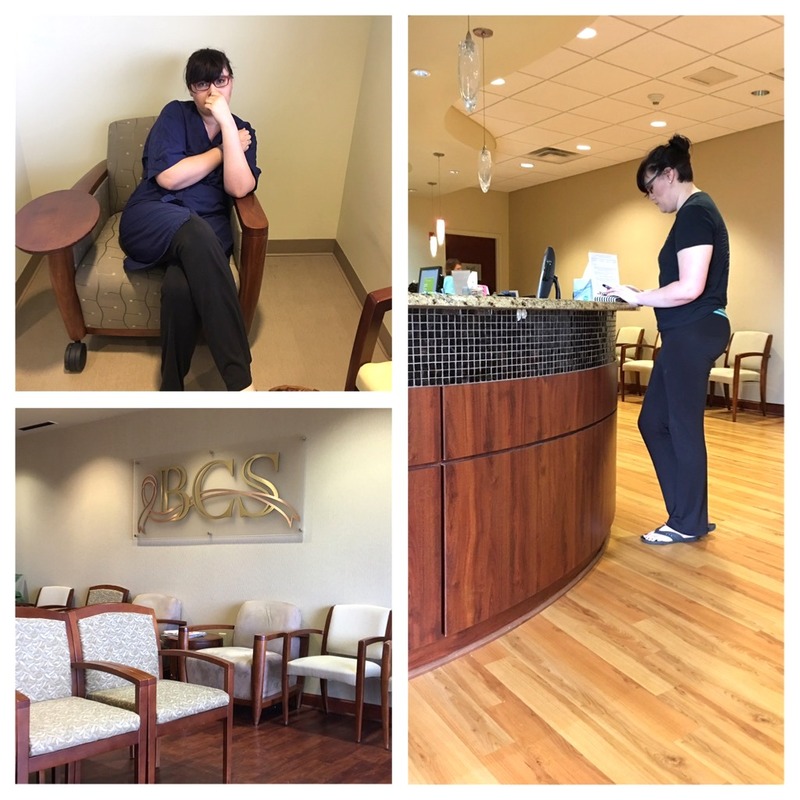 After the mammogram was complete, Jamie joined us in the waiting room once again. She explained the doctor wanted an ultrasound. Hearing those words caused me to tremble. I knew the doctor wouldn’t have ordered an ultrasound if she hadn’t seen something on the mammogram that needed further investigation. I kept my thoughts to myself and listened as my girls talked. Silently, I prayed. I asked God to please protect my daughter. I didn’t know how I’d have the strength to handle it if she received a cancer diagnosis. I begged Him to let her be okay. The ultrasound was fairly quick and within fifteen minutes, Jamie was coming out of the back office dressed and ready to go. Laura and I looked quizzically at her waiting for an explanation, but none came. When I asked point blank, Jamie said, “Mom, I’ll tell you outside. Let’s wait until we get to the car.” Oh, my! Surely this couldn’t be good, I thought to myself. Outside the breast specialist’s office, I waited for the results of the test. I was overjoyed when my daughter said, “They couldn’t find anything but I have to go back in three months.” I wanted to jump up and down. I wanted to do cartwheels across the parking lot. To say I was overjoyed was an understatement! Although she didn’t say it, I could tell a huge peace was washing over Jamie. I saw her shoulders relax and the tension leave her face as we went to our cars. Hugging her tightly, I began to cry. All of the pent up emotions I’d kept inside for the last couple of hours spilled out. Jamie looked me in the eyes and said, “Mom, I told you everything was going to be okay. That’s one reason I didn’t want to tell you I was going to have to need this test. I knew it would upset you. I knew it would bring back too many memories.” And she was right. 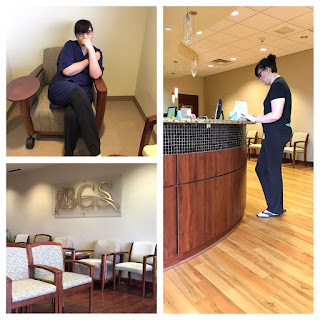 Being here had certainly dredged up painful memories from the beginning of my cancer journey. We celebrated the good news over a leisurely lunch and followed that with a trip to the ice cream shop. I watched as Jamie licked her ice cream cone. This 29 year old woman was still my baby girl and always would be. As she nibbled at her cone, I got a glimpse into the past of Jamie when she was a little girl doing the exact same thing. Her mannerisms hadn’t changed much over the years, although her stature certainly had. I was proud of how she’d grown. I was awed by her strength and marveled at her bravery. I wondered where she obtained those characteristics, certainly not from me. I was thankful her tests were over. In three months, we’ll go through the tests with her again and we’ll pray for the same results. We thought we’d gotten rid of the fear of cancer with my experience and surgery but apparently not. It seems cancer longs to be a permanent part of our family but that’s not going to happen, at least not on my watch. Cancer doesn’t have to be a family affair and we’re going to do our best to keep it that way.